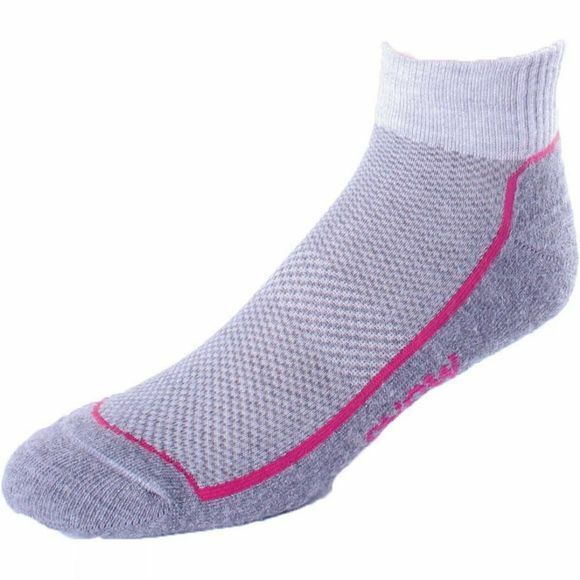 The Snow+Rock Women's Approach sock is a ¼ length sock that rests above most low cut approach footwear. Naturally non-restrictive, it has a fully cushioned sole that wicks away moisture, as well as an Airtex mesh upper and flat linked toe seam. Coolmax: A fast drying fabric that moves moisture instantaneously from the body to the fabric's outer surface where it evaporates.